Avoid frustrating project down time waiting for scaffolding to turn up – we use unique and stringent inventory processes to ensure we always have stock on hand for jobs we’re committed to. Open communication, exceptional service and superior gear is what sets us apart. 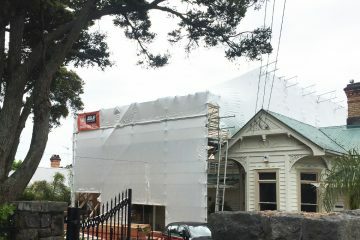 Safe and affordable scaffolding for residential and light commercial projects in the greater Auckland region. Slips, trip and falls can happen to anybody. Statistically most work place injuries from falls occur within a two metre-drop. Able specialises in scaffolding solutions for buildings up to four stories high. From warehouses and retail stores to office parks, we rise to the occasion to help your team work safely above the ground. 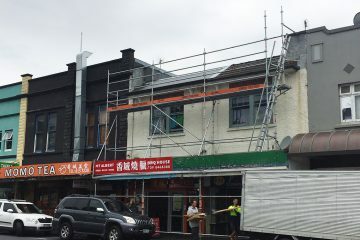 Able provides safe and affordable scaffolding solutions to the greater Auckland region and beyond. 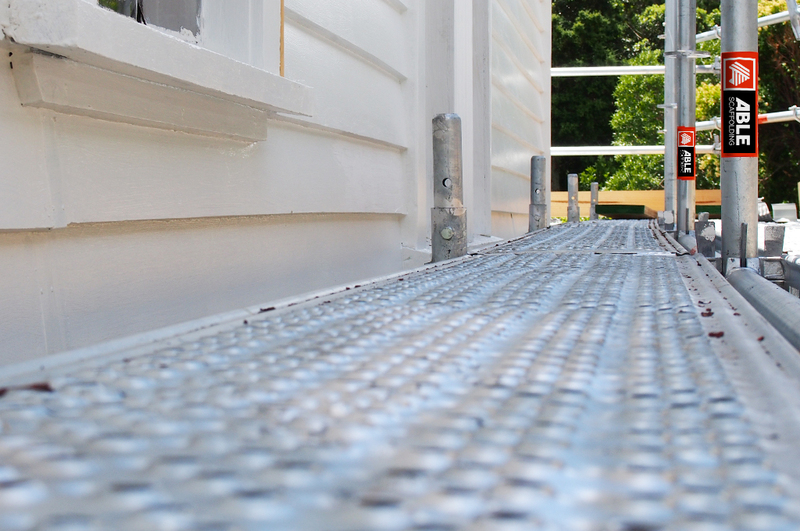 Able will work with your project manager to ensure our scaffold is delivered on site, on time, at the agreed date. Able is committed to site safety. We follow strict procedures and safety systems. Our regular site safety inspections give us an opportunity to see how a project is tracking. We like to think of ourselves as a small but perfectly formed scaffolding company. We are compact by design. We work effectively as a team, providing exceptional service every time. Able is based in West Auckland, is locally owned and serves the greater Auckland area. 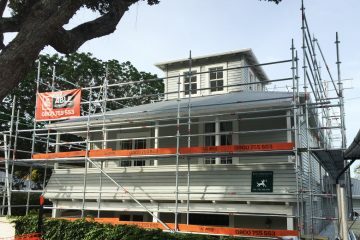 When it comes to residential and light commercial scaffolding our certified team is unbeatable. We have a wealth of experience, a can-do attitude and an ability to think outside of the box. We don’t have a too-hard basket, we are solution focussed. We give free quotes, personalised service, tell you honestly what your project will need and can advise you on all your safety requirements. We move light and fast using a ringlock scaffolding system, the best available. We will ensure your site is safe and ready in the quickest time, with the minimum of fuss. Safety, access and protection are the three fundamentals to consider when designing any scaffolding rig. It doesn’t matter how large or small your site is, we approach every job with the same objective, to provide safe access and protection, for every one operating on -and moving through- the work area. Our crews are certified scaffolders and we are members of SARNZ (Scaffolding, Access & Rigging New Zealand Inc). We are well versed on the Good Practice Guidelines for Scaffolding and Site Safe protocols. We put each team member through rigorous training to upskill and stay current with leading industry standards. We have an obligation to ensure your crew and ours are protected. We follow Site Safe procedures to the letter and maintain that standard for the entire time our scaffolding is on your site. Our clients tell us they like us, because they can talk to us. If they have an issue we sort it out, straight away. We take positive action. Our bottom line is to help you keep your project moving safely and on time. From the outset, we establish clear communications with your project manager and work with them to achieve your goals. We do a thorough site inspection and establish a plan before starting any job. On site, we are approachable and easily identifiable, just look for the Able branded safety gear. We work in with your crew, can answer any concerns you may have and will take appropriate steps to keep you on track, safely. 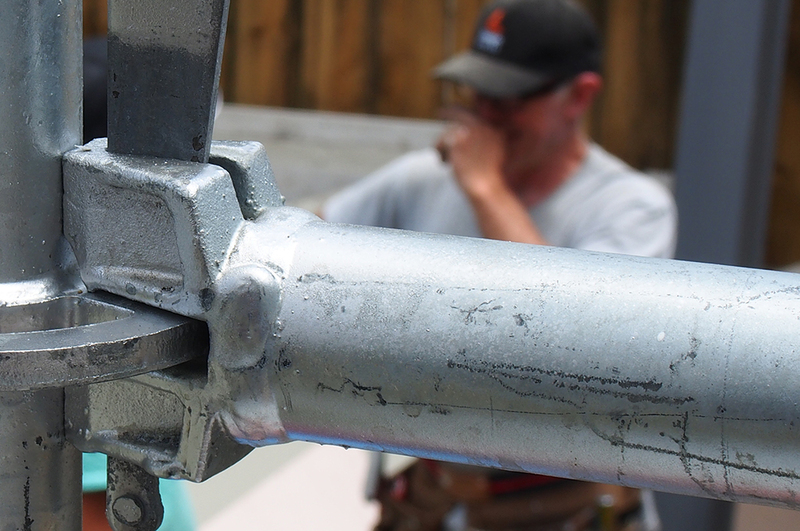 We want to be your go-to guys for all your scaffolding needs, so we believe in providing you with exceptional customer service.